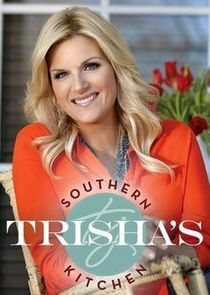 Music superstar and best-selling cookbook author Trisha Yearwood welcomes you into her Southern kitchen to share in some of her favorite family recipes, both old and new. Trisha shows off her genuine Southern hospitality as she puts together meals with friends and family. Whether they're for a family reunion, a party for one of her bandmates or just a day hanging out with her girlfriends, Trisha's recipes are fun and easy to make and always have a story to tell on Trisha's Southern Kitchen.